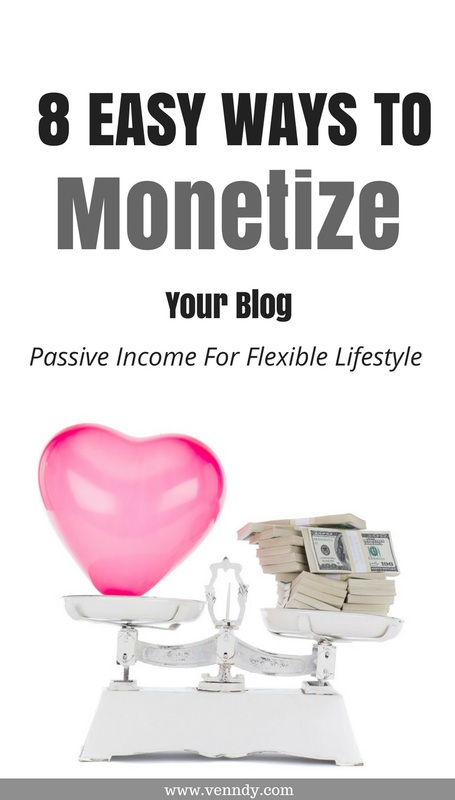 Whether you just started as a blogger or have been blogging for some time, whether you are looking for a side income or aim someday to make it your full-time job, figuring out the monetization methods that will allow you to turn your passion into profit is something you should be doing. Just in case you are asking yourself - what is monetization? Well, in simple words it just means turning your digital assets, which may be non-revenue-generating by nature, into a source of income by generating revenues. Web sites, blogs and mobile apps for example, that do generate revenue are often monetized by advertisements, or subscription fee. But wait, if you're reading this and haven't yet started a blog, you can check out THIS (coming soon) post which will show you how to enjoy the advantages of blogging without the commitment of running a business. Believe it or not, starting a blog when the blogging sphere is so crowded, does require you to be very mindful about why, how, and what you want to get out of it and to have a business plan that will help you get there. But once you are blogging, the next question is how you make money blogging, in other words, how to monetize the time and effort put into this demanding routine. To help you figure out what you can do according to the stage your blog is in, we've gathered some of the tools for blog monetization most frequently mentioned in our community. 1. Ad Networks – This is probably the easiest way when you're just starting out. Most ad networks work the same way. There are two methods for payment: pay per click and pay per impression ads. The pay per click ad tends to earn really well from search visitors, while the pay per impression ads do well with social media traffic. At the beginning you can start with a small ad network which doesn’t require any minimum volume of traffic. All you need to do is sign up and then either place sidebar advertising or insert ads throughout a post. An EASY way to make some money. Here are some names of ad networks to help you get started: AdSence, PopAds, Propeller Ads, Infolinks. 2. Affiliate Marketing – By putting some affiliate offers on your blog, you direct your readers to the purchase of affiliated products. The basic idea is that for every sale made through your link, you get a certain percentage of the sale. The percentage varies according to company. It is important to decide whether you want to only put products that you have tried and tested and truly recommend or whether you treat them as nothing more than regular ads. Most bloggers are concerned about keeping up a reputation of trustworthiness and therefore try to be honest with their audience. Here again, you may want to revisit your top posts and add affiliate links if they seem relevant for the particular blog post. One tool you can use is the "shop-the-story" carousel created by VENNDY, which can help you easily update your post with products or services you have recently used. Here are some names to help you get started: Amazon, eBay, ShareASale, AWIN, Rakuten. 3. Influencer Marketing – This may be relevant for more mature blogs with a high volume of traffic and a large audience. It can relate also to Instagrammers, YouTubers, Social Media stars, or anyone with an audience that you can leverage. This type of marketing uses key leaders to drive a brand’s message to the larger market. 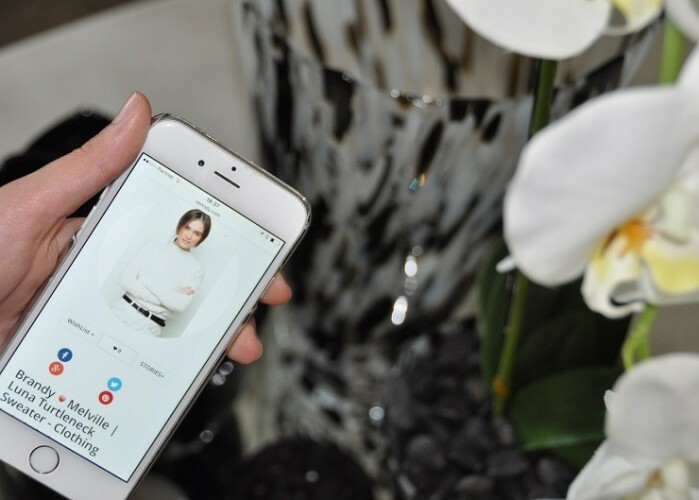 However, influencer marketing often goes hand-in-hand with social-media marketing, so it might be suitable for large accounts on Instagram or YouTube, for instance, where influencers are expected to spread the word through their own social channels. Here are some names to help you get started: BrandBacker, Famebit, Revfluence, Influenster, Instabrand. 4. Sponsored Products/Posts – This comprises being paid to use a product and then write posts about your experience, recommending the product. You can start sponsoring products either of a brand you have started working with through an influencer marketplace or of an individual marketer looking to post content. It is usually effective to mention the product not only in a blog post but also in a newsletter, webinar, or opt-in freebie. The more mentions, the more your readers will trust your recommendation. You can also add a resource page with a list of recommended products to your blog (see below). The sponsored product tends to be dependent on your niche and its relevance to your readers. Prior to committing to a brand, check to make sure it is a good fit and be selective in the products you decide to sponsor so that you stay true to who you are and what you want your blog to represent. The channels for promotions are your blog, usually in a post written specifically about the product, social media, and one of your strongest promotion channels – your email list. Here are is a name to help you get started: Social Spark. 5. Referrals– These are payments driven from affiliate programs but as oppose to marketing to customers who you don’t know personally, with the primary reason being a financial motivation, in a referral the advocate recommends a product or a brand to a colleague, friend, or family member. The motivation in referrals stems more from a strong relationship between the blogger and the potential customer. Referrals are very powerful both to the customers and to bloggers as they strengthen influence and build the foundation for future potential sales. At VENNDYwe believe that nothing is more influential than a recommendation from a trusted friend, and we help bloggers and consumers create referrals on products, services, places, and experiences based on trust and ongoing connections. By adding items to a VENNDY story (which is a collection of items), the user can tell others about the context in which the item was used and fill in additional details. Bloggers can add the items and stories created on VENNDY to their blog and social media and thus enhance the level of familiarity with their readers while building trustworthiness. 6. 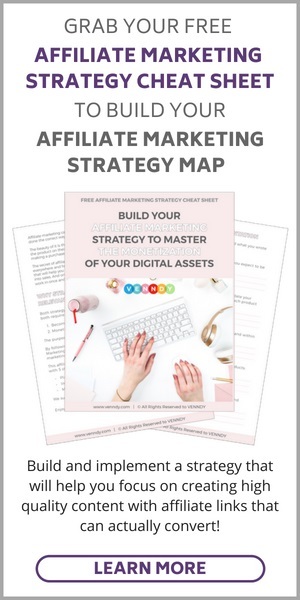 Resource Page – A resource page is a good way to include affiliate links in a comprehensive list of products you use as a blogger for your work and your daily needs. The list can include a camera and accompanying equipment, software to help you run your blog (graphics, opt-ins, email lists, etc.) and many other products. 7. Freelancing Services – This means that your blog provides you with an interface to offer additional services in an area you master. This can be graphic design, social media services, content writing, virtual assistance, and more. Bloggers are increasingly more creative in finding ways to combine their strengths and passion with blogging and making a living this way. 8. Create a Product of Your own – This one is not so obvious but has become more and more common in the blogging sphere. Blogging sometimes helps you realize or recognize something that you are really great at making. You can sell products that you have created yourself, such as an online course, an online or printable books, according to your interests, your skills, and the ways you want to help others. You can create a page on your blog that is dedicated to selling things. Make it easy for your readers to understand what you sell and how they can purchase it. We hope this was helpful in providing you with an overview of how you can make money blogging and monetize your blog! Make sure to check out our other posts that cover a range of blogging aspects to help you get familiar and knowledgeable!